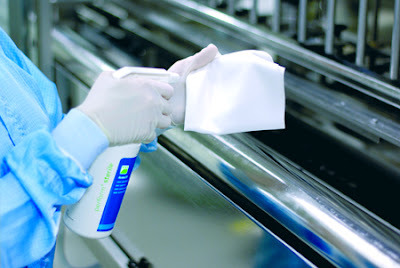 To be able to achieve satisfactory disinfection, a good quality disinfectant is required. An ideal disinfectant should have a high inactivating capacity for a wide range of viruses, such as HIV and hepatitis, as well as being effective against bacteria, including tuberculosis. It should be safe to use and suitable for frequent application. Disinfectants are typically supplied as pre-saturated wipes which may be alcohol-based or non-alcohol based. This article considers the key requirements for a surface disinfectant and examines the comparative advantages of alcohol and non-alcohol wipes. This is an extract from a new article by Tim Sandle, published in The Dentist. "Infection control is integral to good dental practice, and surfaces need to be clean and maintained to a hygienic standard. In this context the term ‘hygiene’ refers to the elimination of potentially pathogenic microorganisms, including the bacteria that cause tuberculosis and MRSA infections."